Pixel Scroll 12/12/17 If You Don’t Scroll Your Files, You Can’t Have Any Pudding! Apart from the Doctor, which character have you most enjoyed writing for? Maybe River Song. She’s quite close to the Doctor, so is that a cheat? Partly because we never wore her out; she wasn’t there all that often. And of course Alex Kingston is awesome and beautiful. Also, I bloody loved writing Missy, and I’m conceited enough to think I did good job. And Michelle Gomez was the only casting decision I took entirely on my own – I just insisted it had to be her – and I’m incredibly proud of the result. What was your happiest moment or experience on the programme? Oh, there were a lot of those. I suppose in terms of a single moment the day after the 50th and realising that it had actually worked. The ratings and reviews were through the roof. Everybody everywhere was happy. That was one of the rare moments where I actually thought I know what I’m doing. It lasted about four seconds. But it’s also the friendships that you make. I remember reading a review when the Weeping Angels two-parter came out [in 2010] and it referred to Matt Smith’s “amazing new Doctor”. He was a hit from the word go really, wasn’t he? Certainly was for me. (2) ALL CREATURES GREAT AND WEIRD. Let Fantasy-Faction tell you about “The Ten Strangest Races in Fantasy Literature”. To me one of the most wonderful things about reading fantasy is the chance to encounter strange and magical beings that couldn’t possibly exist in the real world. Ferocious and exotic warriors, wise immortals, fey creatures as beautiful as they are mysterious, people made from wood or stone, animals that walk and talk like humans, and humans who can fly or throw fire with a thought. These races that never were, offer us the chance to sample new perspectives on life, question the very things that make us human, or just imagine what it would be like to have the body of a giant or the ability to fry a person’s brain by looking at them funny. But in a genre peopled by a suspiciously large quantities of elves and dwarves it can be hard to find truly original beings to liven up your fantasy reading. 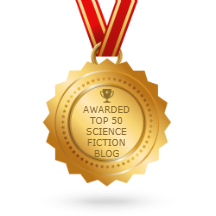 So I’ve gathered together ten of the strangest, most interesting and most thought-provoking races in fantasy literature for your amusement…. The title and bearing of a haughty French aristocrat, the body of a wingless pixie and the poisoned spurs of a platypus; with these powers combined you get – the Gallivespians! The name Gallivespian is actually a play on words. The ‘vesp’ part of it comes from the Latin word for wasp; so you could roughly translate the whole word to mean ‘gall-wasp people’. It’s an apt name considering their tendency to ride around on large dragonflies and their willingness to sting anyone who gets in their way…. (3) WILD GUESSWORK. Nerds of a Feather’s Joe Sherry and Dean E.S. Richard take what might be their very last chance to engage in “Rampant Last Jedi Speculation”. After all, the movie will be out in a couple of days. Let’s speculate some more on Rey’s parents! Do it like this: She was one of Luke’s students in his New Jedi Academy school thing that he founded after Return of the Jedi. She, with another student (or not, I don’t care), had a daughter. Ben Solo turned, killed that particular class of students, and Luke hid Rey on Jakku rather than take her with him when he ran and hid. Dean: Gawd, I love that so much. Mara Jade is the best of the old EU. My problem with that is that I doubt they go that deep, though. The closer we get, the more I lean towards her being Han and Leia’s daughter. There are a million signs that point to it, which have been covered ad nauseum at this point. It’s not the most creative, to be sure, but I prefer it to her being Luke’s kid. Unless they bring in Mara Jade. Joe: Force bless Mara Jade. (4) FREE ANTHOLOGY. 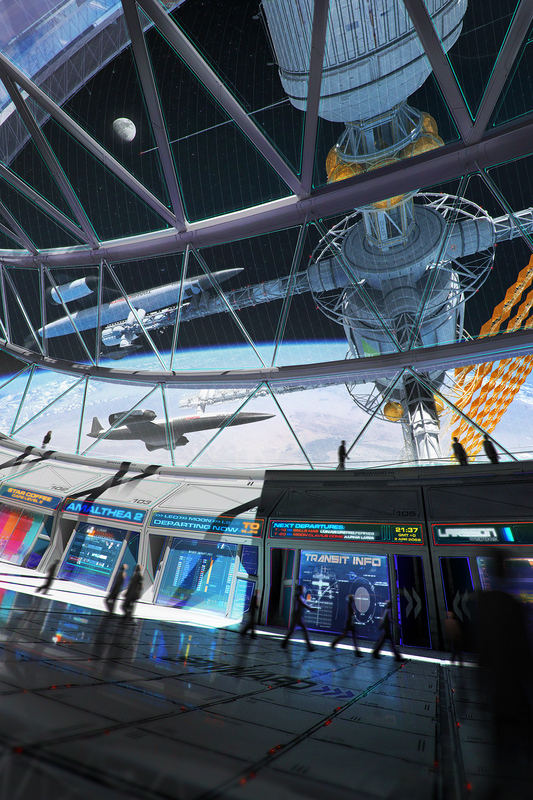 ASU’s Center for Science and the Imagination has published Visions, Ventures, Escape Velocities: A Collection of Space Futures, a book of stories and essays about the near future of space exploration, supported by a grant from NASA. It features stories by Madeline Ashby, Steven Barnes, Eileen Gunn, Ramez Naam, Carter Scholz, Karl Schroeder, and Vandana Singh, and an interview with Kim Stanley Robinson, plus essays by experts in space science, history, economics, and other areas. Edited by Ed Finn and Joey Eschrich, with guest editor Juliet Ulman. The book is available for free in various digital formats, or folks can buy it at cost print-on-demand. The place to find all of that is http://csi.asu.edu/books/vvev. Why should we go to space? To learn more about the universe and our place in it? To extract resources and conduct commerce? To demonstrate national primacy and technological prowess? To live and thrive in radically different kinds of human communities? Visions, Ventures, Escape Velocities takes on the challenge of imagining new stories at the intersection of public and private—narratives that use the economic and social history of exploration, as well as current technical and scientific research, to inform scenarios for the future of the “new space” era. Visions, Ventures, Escape Velocities provides fresh insights into human activity in Low Earth Orbit, journeys to Mars, capturing and mining asteroids, and exploring strange and uncharted exoplanets. Its stories and essays imagine human expansion into space as a kind of domestication—not in the sense of taming nature but in the sense of creating a space for dwelling, a venue for human life and curiosity to unfurl in all their weirdness and complexity. (5) FAST SERVICE. Rocket Stack Rank’s Greg Hullender already has a review up — “Visions, Ventures, Escape Velocities, edited by Ed Finn and Joey Eschrich”. Although CSI says they want optimistic views of the future, only three of the stories envision a future that’s better than today’s world, and one is actually a dystopia. Of the seven stories, we recommend one and recommend against one, which is exactly the distribution we expect to see, hence we called the anthology average overall. (6) THE BITE FANTASTIC. If you haven’t read these yet, Camestros Felapton wastes no time persuading you to do so — “Review: River of Teeth – Taste of Marrow Sarah Gailey”. This pair of novellas is much better to read as a single novel. The first introduces the premise of a 19th-century alternative version of America, where hippos are ranched and some live feral in the Mississipi river. River of Teeth follows a plot where former Hippo rancher Winslow Houndstooth recruits a party of outlaw misfits to run a job for a federal agent. The job in question is blowing a dam to destroy an artificial lake that has become infested with bloodthirsty feral hippos. Existing Storify customers can continue to use all capabilities of the service until May 16, 2018, except for the ability to create new stories which will end on May 1, 2018. Be sure to export any content you would like to keep by May 16, 2018, using the export functionality in Storify. Storify.com will no longer be available after May 16, 2018. If you are interested in gaining access to Storify 2, a feature of Livefyre, you will be required to purchase a Livefyre license. December 12, 1972 — Orange soil discovered by Apollo 17 astronauts Eugene A. Cernan and Harrison H. Schmitt during their second day of exploration on the lunar surface. Born December 12, 1893 – Edward G. Robinson, who ended up as Soylent Green. Mike Kennedy found what it would be like if the younger Jacob Marley could see and hear the Ghost of Christmas Past and the older Jacob Marley in Brewster Rockit. It’s that time of year when everyone writes up lists of the best of the best and the worst of the worst. And Pull List is no exception. We’ve had a pretty great year for new comics, especially in the indie realm. DC’s Rebirth is still chugging along while Marvel continues to shoot itself in the foot then blame everyone else but themselves. As always, there’s lots of meh stuff cluttering up the market, but finding good quality series is pretty easy as of late. Rumors began swirling regarding the shutter over the weekend and Eater was able to confirm the news after speaking with management at the property. The Du-Par’s team remains adamant that they will be back in Studio City at some point, with a whole new location, but so far they don’t have a line on exactly when or where that will take place. So for now, eager eaters hoping to enjoy the restaurant’s signature pancakes will have until the first of the new year. Reached for comment this morning, one worker said that the restaurant certainly wasn’t closing “for lack of customers or bad food,” but rather a stalled lease renegotiation. (13) APEX MAGAZINE. Beginning with issue 104, Apex Magazine will be available in its standard eBook form and in POD-printed trade paperback format. The trade paperback will contain all the content published in the eBook. A monthly recurring print subscription is available directly from Apex or via their Patreon page. These subscription issues will be mailed approximately two weeks after the release date of the eBook edition. This link provides more detailed information about their various subscription options. (14) SHORT FICTION. Charles Payseur reviews “Higher, My Gallows” by Alice Brook (20907 words): “Quick Sips – GigaNotoSaurus December 2017”. December brings one of the longest stories to GigaNotoSaurus, a novella with an interesting mix of elements and its sight set on retribution, rot, and stubborn pride. The setting finds magic weaved into everyday life, though in strange ways, and sets up a situation where a woman running from her mistakes falls in with a group of police officers to help with magic-related mysteries. It’s a wonderful setup that evokes both noirish grit (there’s plenty of blood, grime, and spit) and some more modern sensibilities. It’s also a lot of damn fun, so let’s just jump right into the review! “Making Us Monsters” was written by Sam J. Miller and Lara Elena Donnelly and published in the most recent issue of Uncanny. It’s an epistolatory story about Siegfried Sassoon and Wilfred Owen, in which Sassoon receives letters from Owen years after they were sent, years after Owen was killed in action. These aren’t any old letters, though, they’re both love letters and an examination of the kind of trauma experienced by soldiers in the Great War. This wasn’t an easy story to read—there’s a “doctor” who is more interested in brutalizing his patients than helping them and there is a lot of internalized self-hatred on the part of Sassoon and Owen. But I found it to be a worthwhile and engrossing read, nonetheless. (16) CHIZINE POLICY. ChiZine’s guidelines for its submission window ending December 31 have been up since August, but an author sent me the link today. ChiZine Publications is open again to submissions, until Dec. 31, 2017. BUT, PLEASE READ OUR NEW GUIDELINES, especially this bit: Given that CZP is an SF/F/H publisher, genres which have traditionally been dominated by straight white men, we have decided for this submission round that we will only be open to subs from people who identify as belonging to one (or more) of the following groups: Aboriginal Peoples, culturally diverse groups, people of colour, mixed race people, people who are Deaf or have disabilities, Canada’s official language minority communities, non-binary/LGBTQIA+, people who identify as women. ChiZine has always been committed to cultural/gender diversity, but the last time we ran stats, despite asking for more diversity, 83% of the submissions we received… were still from men. (We could not tell people’s ethnicity or orientation from our stats, since we don’t ask for that information.) But we felt that it was time to take a more firm step toward helping address the imbalance. Please feel free to share. Edwin, we’ve been in business for 20 years, and this is the first time we’ve extended a specific invitation to the minorities named in our current submission guidelines. We’re just trying to give those folks a shot in a field dominated by straight white men—which we’ve been publishing alongside everyone else, as I said, for 20 years. You obviously don’t actually know about ChiZine as a company, but just saw these guidelines and decided to pounce on us to prop up your own narrative. I’m a straight white male myself (to specify, this is Brett Savory, since these responses all come from our company account), and I approve this message. (Ha.) Our next submission window will be just like the ones from the past 20 years—open to everyone; we’re just trying to raise up some voices you don’t hear from as often as we could in this field. If that’s “racist,” “sexist,” and “bigoted” to do once every 20 years, then we’re guilty as charged. (18) GET READY. 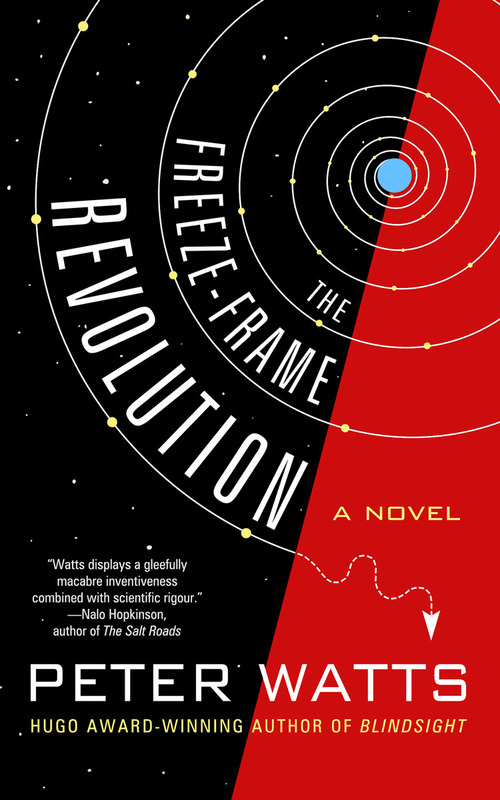 There’s a new book coming from Peter Watts next May: The Freeze Frame Revolution. She believed in the mission with all her heart. But that was sixty million years ago. How do you stage a mutiny when you’re only awake one day in a million? How do you conspire when your tiny handful of potential allies changes with each shift? How do you engage an enemy that never sleeps, that sees through your eyes and hears through your ears and relentlessly, honestly, only wants what best for you? Sunday Ahzmundin is about to find out. (19) MARKET. Superversive Press is looking in the logical place for submissions to its Planetary Anthology – Uranus. Superversive Press is looking for contributions to the Uranus edition of the Planetary Anthology. Stories should be between 3,000 and 7,500 words. Stories should center on themes of rebirth and new beginnings in the broadest sense possible. Interpretations can range from rebirth of a character or a new beginning on a new world, to spiritual, philosophical, and theological ideas. These themes need not be specifically part of the plot, just part of the story.